Climbing the lower slopes just outside of Mount Shasta City, the Gateway Trail offers beautiful views of Mount Shasta and the surrounding mountains for little effort. Just minutes away from downtown, the trail quickly escapes into the woods at the foot of the mountain and allows hikers to travel deep into the dark recesses that seem a world away from town. 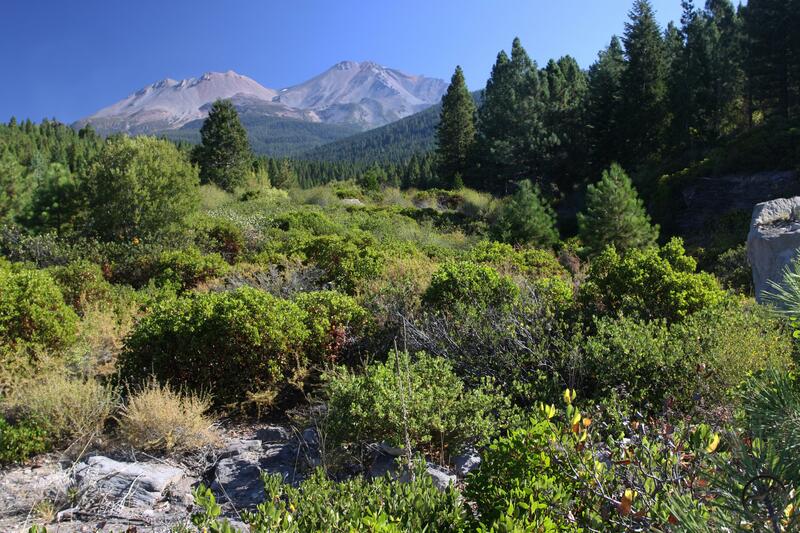 The Gateway Trail is one of the newest trails around Mount Shasta. 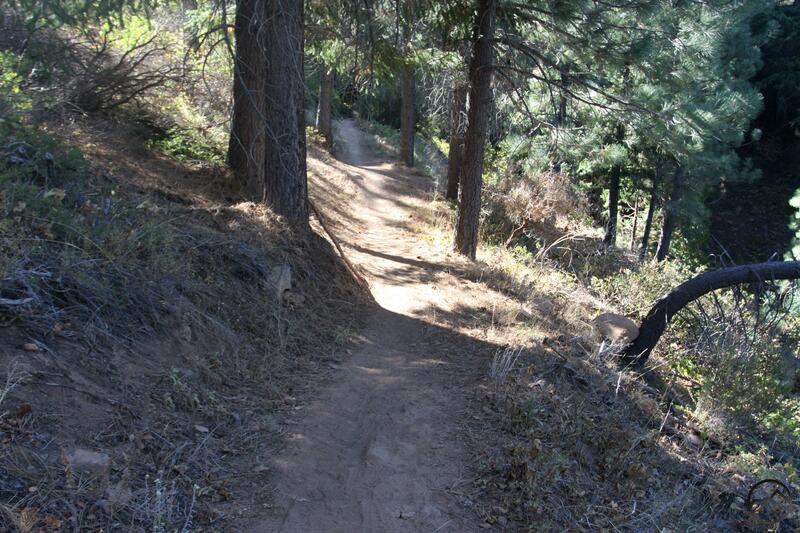 Developed for hikers, mountain bikers and equestrians, the easy grade is indicative of the trail’s multiple purposes. While it can be inconvenient to deal with other users, the trail does not see too much traffic and is still a great opportunity to escape into nature. The trail has three distinct sections. 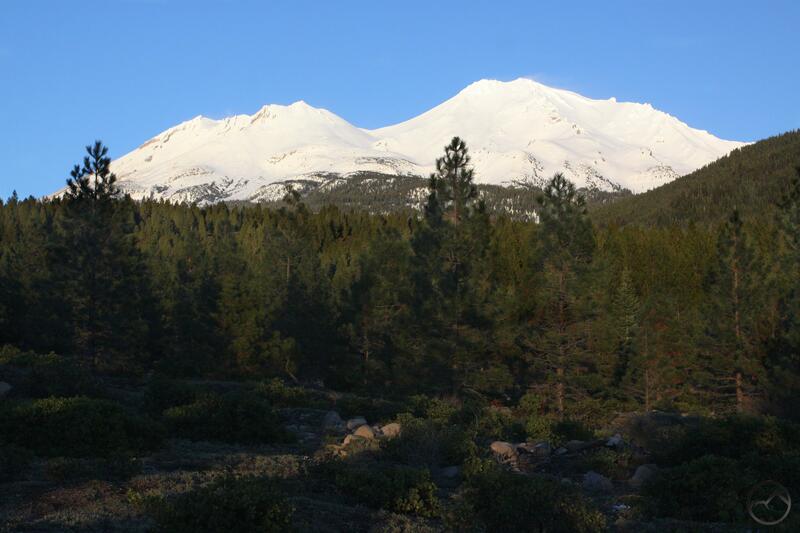 First comes a gentle climb through open terrain that has great views of Mount Shasta and the surrounding mountains. The second part of the hike enters the forest and courses around a few interesting features including the lowest reaches of long Cascade Gulch and large rock outcroppings. 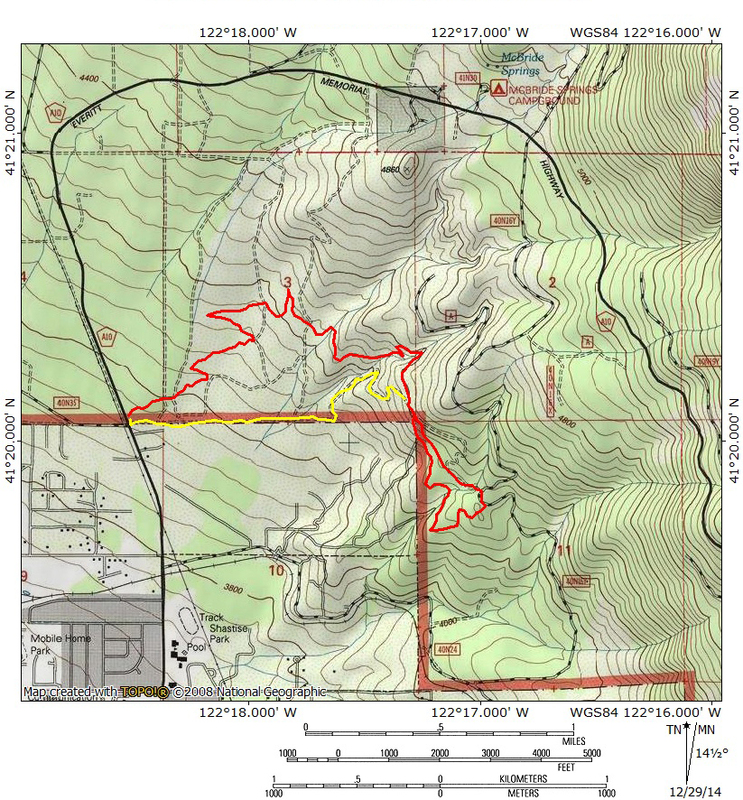 The final part of the hike consists of a series of loops that offer several different route options. With many permutations at the end of the trail, you can hike the Gateway Trail numerous times and repeatedly change things up. The hike begins at a small parking lot just beyond the last few homes of Mount Shasta City, where the city limits and the national forest boundary meet. The trail begins heading north from the trailhead sign. It quickly makes a tight turn to the east, followed by a few easy switchbacks. The trail climbs throughout the entire first half of the hike but it is very well engineered and is never taxing. 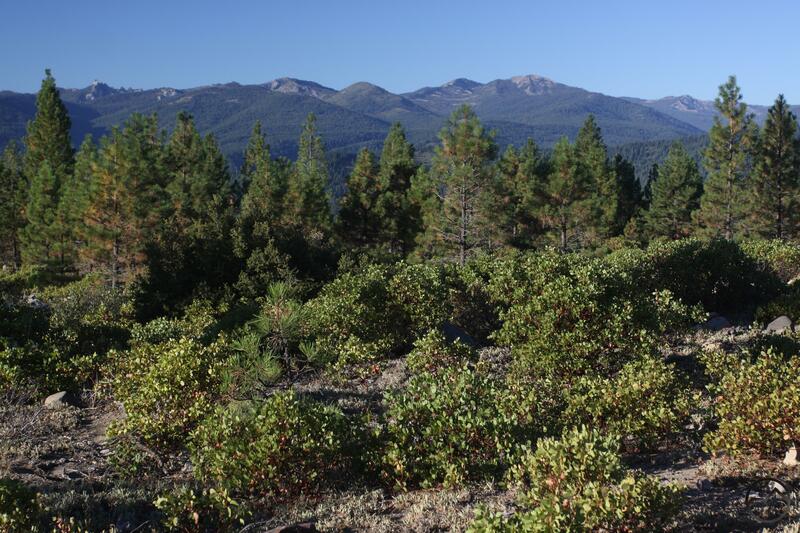 The trail soon enters a large clearing where the views of Mount Shasta are consistently good and there are also several opportunities to observe the other mountains surrounding Mount Shasta City, including the high peaks of the Castle Crags Wilderness, Porcupine Peak, Mount Eddy and Black Butte. 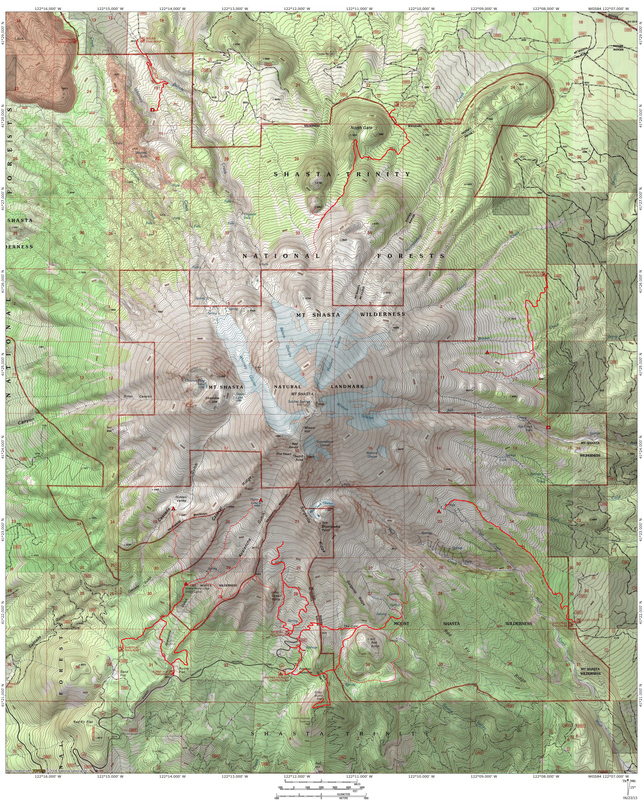 If you are new to Mount Shasta, this is a great opportunity to familiarize yourself with many of the notable landmarks in a natural setting, without having man-made intrusions disrupting. The open area was clear cut long ago, which is why the few trees present are small and young. While you might guess that a clear cut would not be attractive, this was cut long enough in the past that little evidence of it remains and nature has taken over and healed the scar. Manzanita covers the ground in many places and rocks large and small are scattered throughout. The lack of tall trees means that the views are constant and good. After some long switchbacks through the clearing, the trail crosses a round and enters an uncut area that has larger trees. There are a few road crossings on the hike but the Gateway Trail is very well marked and the route is always obvious. The trail crosses another road a short distance latter followed by the trail pulling alongside a sandy gully. This is the last vestiges of Cascade Gulch, which begins high up on the saddle between Mount Shasta and Shastina. It descends down into Hidden Valley (see Hike 9) and then plunges down the side of Mount Shasta. The higher sections of the gulch will often have water in them but there is rarely water this far down the mountain. 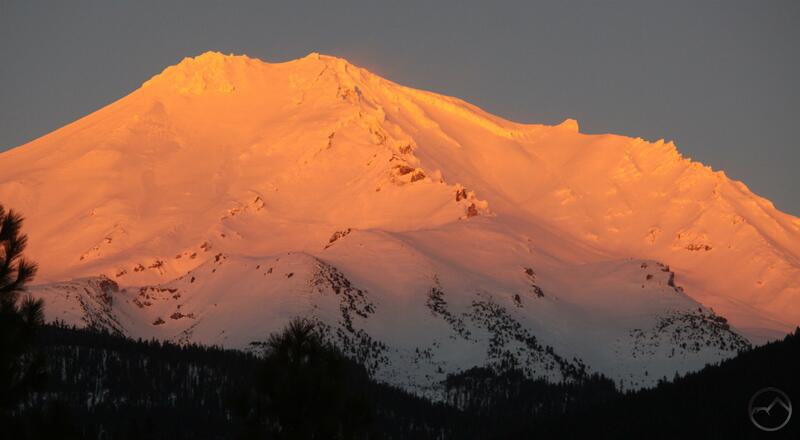 Enjoy the view of Mount Shasta gazing down from its stately heights. The mountain will not be seen again until you are heading back to the trailhead. After the trail crosses Cascade Gulch, it cuts across a low ridge and then begins a series of short switchbacks. 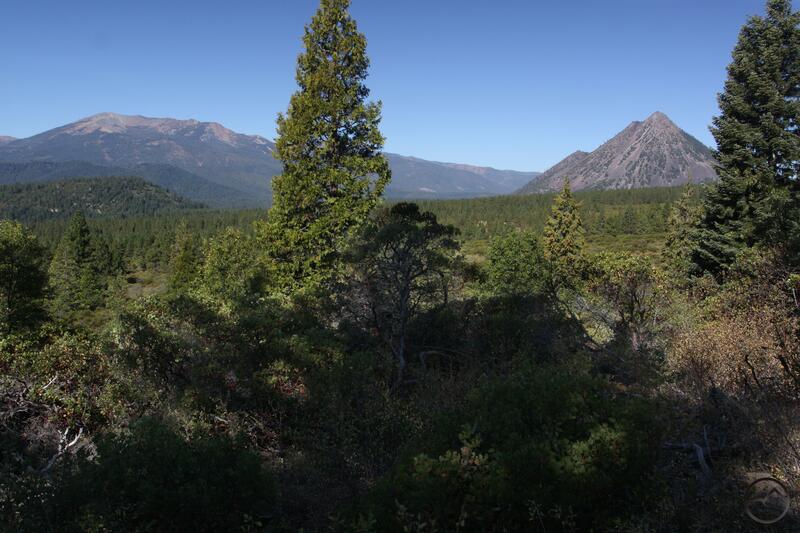 There are some nice views of Mount Eddy and Black Butte while climbing. This is a particularly appealing perspective because there are few places near town where you can get a good opportunity to observe Black Butte without houses or the freeway intruding into the scene. After the trail straightens out, it passes through shady woods before it skirts the bottom of a large rock outcropping. Past the rock, the trail enters a steep-sided gully choked with thimble berry and begins another series of switchbacks. At the top of the climb, the path rounds a corner and then levels off before reaching the edge of a dirt road, about 2.65 miles from the beginning of the hike. Once you are on the road, there are number of possible options for proceeding. The road is the most direct route back to the trailhead. It will take you back to your car in only 1.35 miles. Bikers often ride up the road and then return back to the trailhead via the Gateway Trail. Six trails and a road offer a several different loop possibilities. The map at the trailhead shows all the loops and connector trails. One good option is to turn left onto the road and walk 0.4 miles to Marley’s Junction, staying right at a fork just before the junction. Three different trails intersect the road at Marley Junction, making it a good place to begin further explorations further into the remote corners explored by the Gateway network. However, for a modest loop turn right at the first of two trails branching off from the right side of the road. This is in fact a section of the Gateway Trail. The sign indicates that this is the way back to the trailhead. Follow the path until it rejoins the road, a few yards away from where the Gateway Trail intersected it. The loop is 1.4 miles. From there hike back to the trailhead on the Gateway Trail or take the direct route on the dirt road. From the beginning of the Everitt Memorial Highway in front of Mount Shasta High School, drive north for 1 mile to the signed Gateway Trailhead on the right. These directions take you to the Black Butte trailhead, NOT Gateway Trail. That trail is closer to town in the other side of Everitt Memorial Hwy.